Dear Jane Kathy made this quilt for a nephew who graduated from high school. 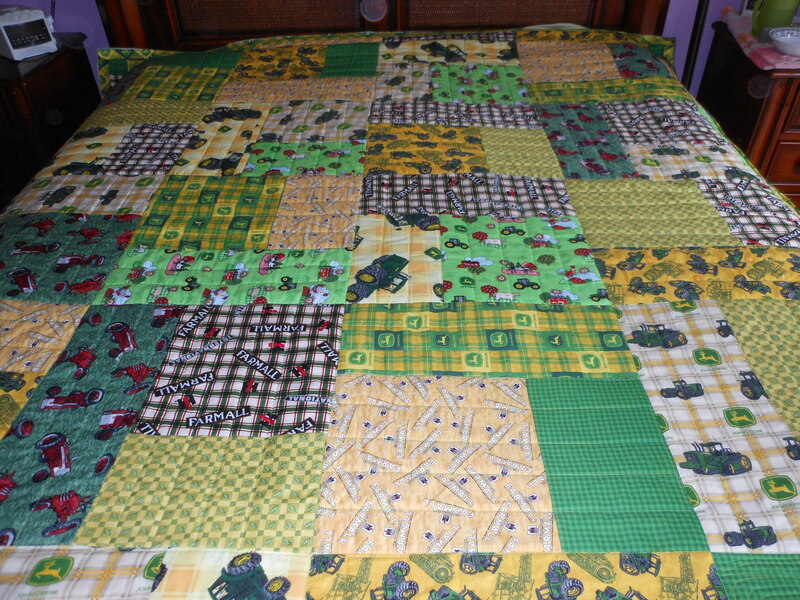 Since the theme of the fabric was tractors, I quilted rows. 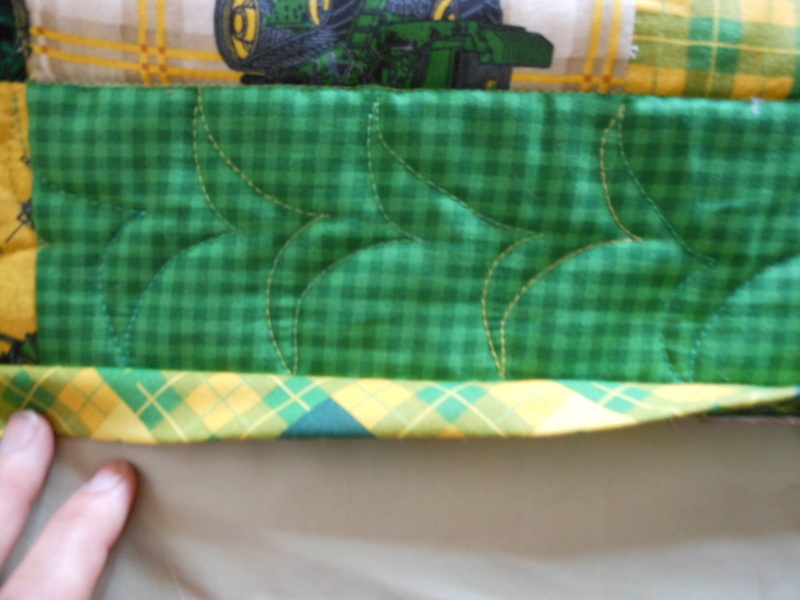 Who knew there were so many different tractor fabrics? I quilted her nephew’s name into the quilt, and made a “crop circle” around it. The border was a grass- corn stylized design…how artistic of me.